We have not made this dessert in over 6 years and I don’t know why its been so long! It was one of my grandfather’s favorite desserts and we thought of him as we made it tonight. It comes from “The Dove’s Nest Restaurant” cookbook, which has recipes from many historic Texas towns. 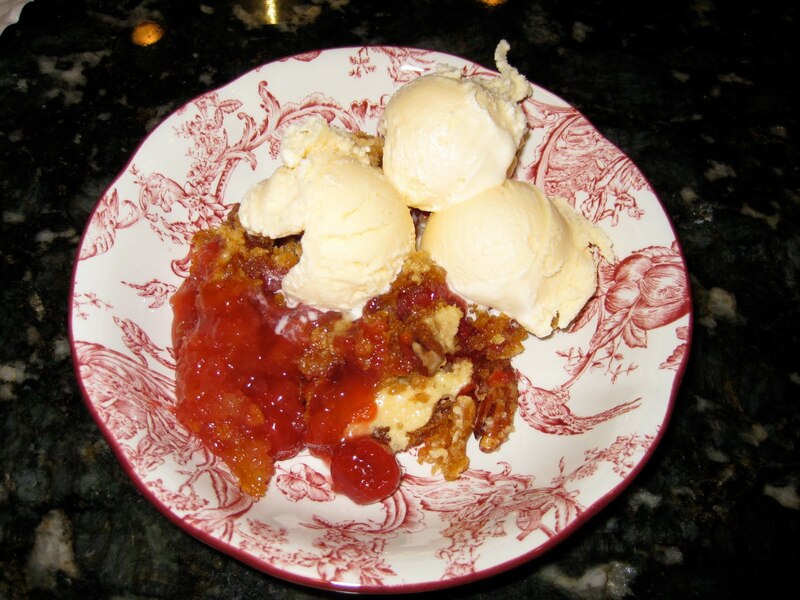 “Dump Cake” is another name for this Cherry Pineapple Pecan Cobbler since it involves just “dumping” canned fruit, cherries, and cake mix into this cobbler. Super easy, super delicious! Spread drained pineapple in baking pan. Top with sugar. Sprinkle the cake mix evenly over the cherries, then drizzle with melted butter. 1. Spread the undrained pineapple in the bottom of a buttered 9 x 13 inch baking pan. Sprinkle with the sugar. Cover with the cherry pie filling. 2. 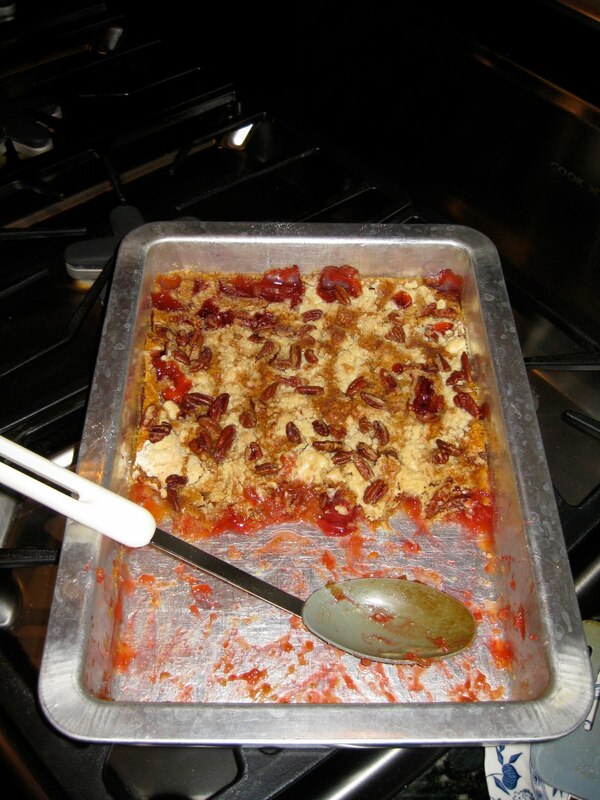 Sprinkle the cake mix evenly over the cherries. Drizzle with the melted butter. Sprinkle with the pecans.